There’s gold in those consoles! 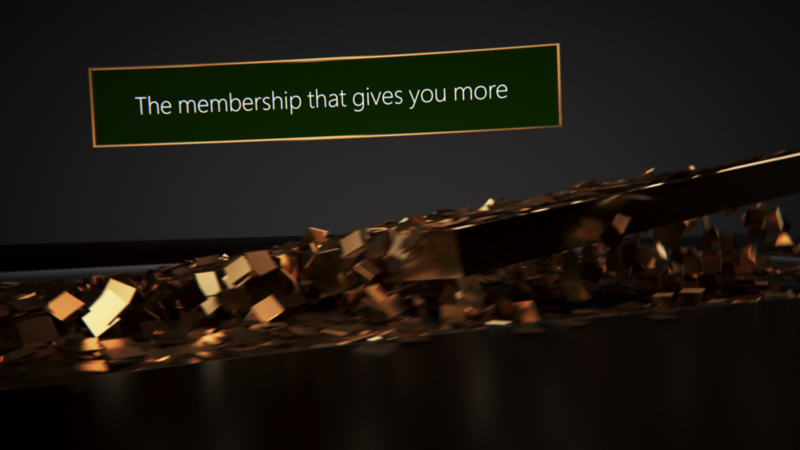 Launched at E3 and used for retail worldwide, we created this year's Xbox Live Gold video from the latest game footage and arrays of tiles laden with golden 3D luster to represent the vast and rich community that is Xbox Live Gold. So like we said, theres gold in your Xbox! Just don’t take a pick axe to it. It’s a lot easier than that. Just sign up.